This product is currently unavailable. Please call for additional assistance. When someone participate in your charity or team event you should offer them a promotional gift that helps them feel part of the group and can be use again to remind them of the day. 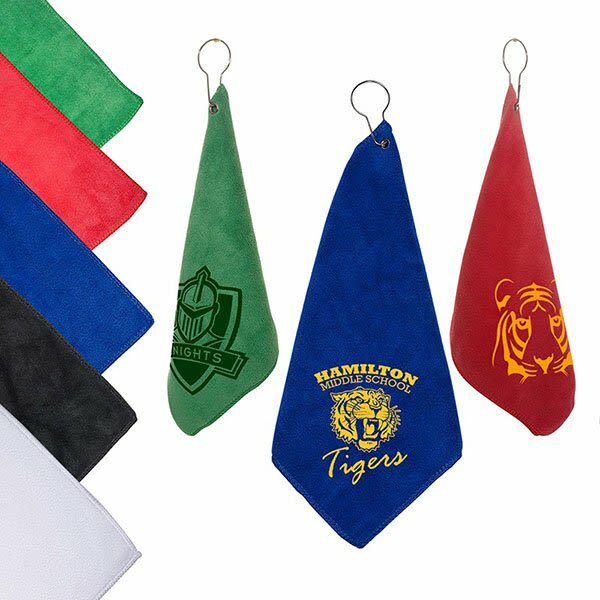 These colorful custom microfiber golf towels are an affordable choice for your golf related giveaway. Features metal grommet and hook in the corner of each towel to attach to golf bag for easy use. Add a large color imprint to show off your logo. Pricing includes one color, one location imprint.